I have a friend. Let’s call him John. John was brought up in a family that loves rugby league. When he was younger, he played footy, mainly on the wing because he was very quick. He even managed to score his fair share of tries. But as he got older, John was no longer as interested in playing footy, he wanted to be involved in the game in a different way. So he traded having the footy in his hand to having a whistle in his hand and decided to try his hand at refereeing instead. Refereeing is a passion that John has had for over a decade now. Slowly but surely, John has moved his way up through the refereeing ranks with plenty of hard work and determination. Refereeing is about a lot more than just understanding some very complicated rules. It also requires high levels of fitness, commitment and also means you give up plenty of weekends. Here’s the thing about John though. He is a good referee. So good in fact that he is now refereeing in New South Wales Cup. 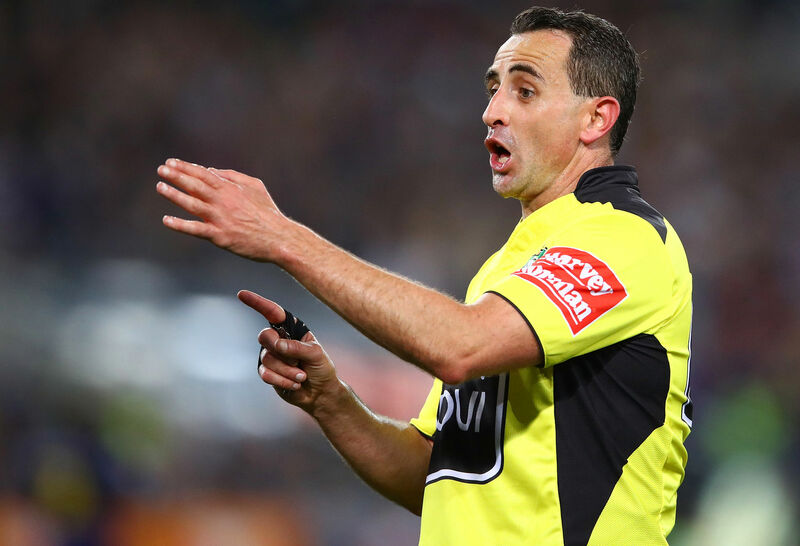 John could potentially progress further and be a first-grade referee down the track, but has made a decision that he does not want to and that he is happy to remain in New South Wales Cup. And how can you possibly blame him? This year, referees have been under constant scrutiny. They have been the most consistent talking point and have been subjected to the most criticism across the board. I would say that this constant focus and harassment is beginning to border on bullying and with the personal vendetta that some fans and influential media commentators have against referees, why on earth would you want to be one. We’ve seen it flair up again this weekend and for me, it’s getting to a point where it is exceptionally embarrassing. That article also quoted the high number of penalties being blown per game (approximately 18/19) and looked to blame referees for that. There was no mention of the players that are behaving in a way that is contrary to the rules, putting referees in a position where they need to blow a penalty. On Channel 9, there was also discussion following the games on Friday night. Paul Vautin suggested that the referees were “out of touch.” Then it was that the referees don’t have an understanding of the effort that the players put in (do the commentators have an understanding of how much effort the referees put in?). Later in the same segment it was acknowledged that the number of penalties aren’t the referees fault, but instead it is because of the direction they are being given from up top. Andrew Johns then made a comment about referees blowing penalties that really should be let go because they do not have any influence on direct play. I question whether this would add another level of complexity to an already complex job with referees being placed in a position where they need to make a call about when an infringement is having a direct impact on play and when it is not (and then would allow other players to do the incorrect thing, just because they aren’t directly involved in play). Then there were further tweets from journalists lamenting that referees were destroying the game. For some journalists, this seems to be a fun game at the moment and it’s becoming exceptionally tired, boring and predictable. So who is to blame here? Is it the referees? Or is it the people giving them the instructions? Or is it the players that continue to do the wrong thing and give away penalties? I would say it is the latter and interestingly, we don’t see targeted harassment of particular players that give away plenty of penalties, just the odd article here or there. Now I don’t know about any of you, but I have enjoyed this year of footy more than any other in recent years (keep in mind that my team is at the bottom of the ladder too). For the first time in many years, we are seeing a different type of top eight featuring some new teams like the New Zealand Warriors, South Sydney Rabbitohs and the St George Illawarra Dragons. We have seen the emergence of some fresh talent including Viliame Kikau, Kalyn Ponga, Victor Radley and Jamaayne Isaako. We have seen some players return to form like John Sutton and Greg Inglis and have also watched some teams that we thought would be in the finals, collapse, like the Parramatta Eels and the North Queensland Cowboys. 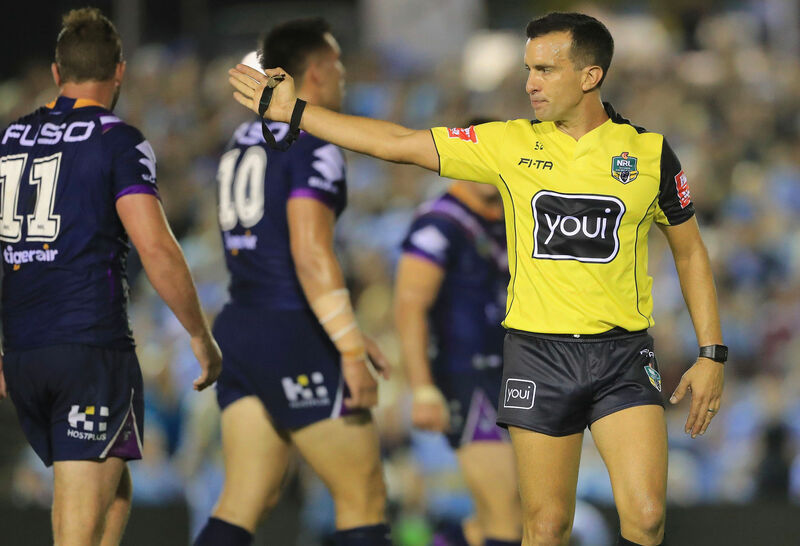 I’ve also really relished seeing an increased use of the sin bin and have also really enjoyed watching referees crack down on players and teams that have repeated infringements. I find it incredible that there are some people in the media who profess to love the game, but who do little other than complain about it. Referees are always going to make some wrong calls. They are human. Just like our players make errors. The very obvious impact of all this dribble about how referees are ruining the game is that it alienates and upsets fans. It has already started to. I’ve noticed particularly on Twitter that more and more fans are beginning to call out journalists who unfairly harass referees and are getting very tired of the same old narrative that some very stale journalists are trying to spin. But a less obvious consequence, and potentially a more dangerous one, is that this inappropriate level of harassment is potentially discouraging the next generation of referees from coming through. Being a referee has never been a popular gig, but the way we’re heading now, I wonder why anyone would put their hand up for the job in the first place.